User’s engagement has a significant impact on search engine rankings. The more relevant and appealing your designs are, the more engagement on your platform. Like commercials on television, users are bombarded with thousands of content every time they are online. It can be overwhelming for your users, and this is why it’s important for marketers to find ways to capture their attention and stand out from the crowd. The main goal of this article is to help you create great content; content that will be promoted, engaged with, content that will cultivate your brand loyalty, and increase the chances of a return visit. 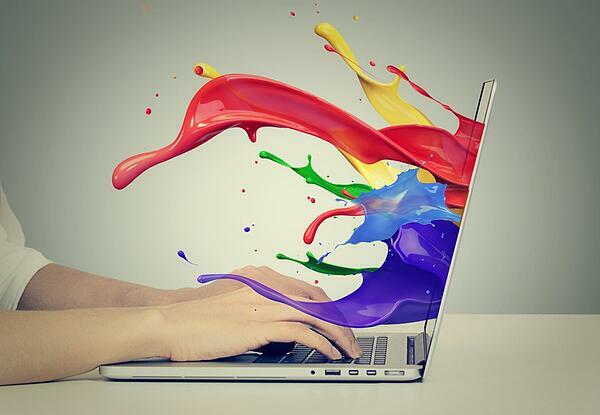 Here are 6 tips and applications to help skyrocket the design of your content. Captivating your audience with relevant content is one of the biggest challenges in marketing. To ensure that your content drives results, its significant to put in place a strategy for your marketing campaigns to make sure your medium will resonate with your audience. If you want to keep people on your site longer, it’s important to consider an interactive web page. It will encourage them to interact with the content and keep them active and engaged. Lead generation requires content that can motivate customers to submit their personal information. For instance, you will need to come up with convincing information then find a connection to make readers interested in your data. With big data, it’s important to provide visual content. Visual content helps your audience get better insights. 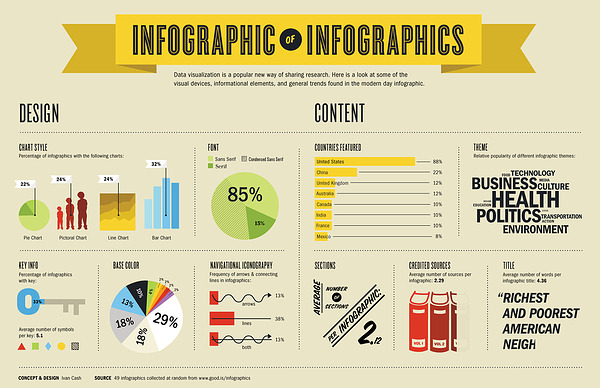 Ideas such as infographics, charts, and slideshows are sometimes more manageable for users than the written word. 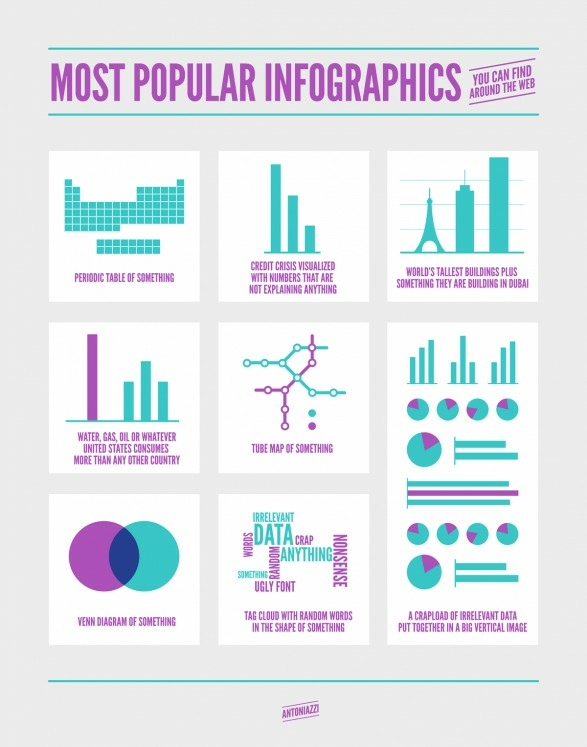 Those infographics make it easier to understand and to share to another platform. Having a website or a social media platform where you display your content required captivated content. It’s significant to create a format where your users will be able to navigate smoothly and have a great experience. Your platform is the digital façade of your business based on researchers. Did you know that 48% of people determine the credibility of a business by its website design? A busy design will lose its allure and become dated quickly, but a simple website design withstand the test of time. If you strip down your design to the strict minimum with essential information, you will maximize the number of people who see the most important parts of your content. Often times, design fails to capture attention because there is too much information to process and it can be difficult to read or understand. When we talk about simple design, we also include simple workflows navigations and content model. In terms of a website, having menu navigation is an essential part of web design and it’s significant to make it accessible to your audience segments. Artificial intelligence is one way to skyrocket your business. AI is currently taking over the world (in a good way), and making it easier and more productive environment. Deep learning and artificial neural networks influence some advanced predictive big data analytics tool as well as content creator technology. Data is not only the property of a data analyst, but marketers should also use those data and build a strong, result-focused content strategy targeted their buyer personas. Effective content curation emphasizes remarkable content, and adds value to the original source. By creating content that users never came across will augment your visibility and drive traffic into your site. In addition, AI-driven discovery and curation. Platforms such as Netflix, Instagram, and YouTube rely on a search engine and recommendation to keep their audience interested. Have you ever wanted to design a flyer, a business card or an infographic for your platform? With Canva, it’s now possible. This graphic-design tool will help you shape all your content creation for your social media platforms and your website. Until now designs were difficult to produce but there are now many ways to create a professional design with this platform. This online design tool offers a ton of features, a vast collection of photographs, graphics, and fonts. It’s a great learning experience for those who are not graphically inclined. Another consistent way to create content and boot the engagement of your site is Adobe Spark. This free online and mobile graphics design application will help you create beautiful images and a web page that will make you differentiate yourself from the crowd. It is a powerful and easy tool that produces intensive and relevant content for social sharing. Like Canva, you can create simple image graphics with text overlays, change the font, colors, and layout. 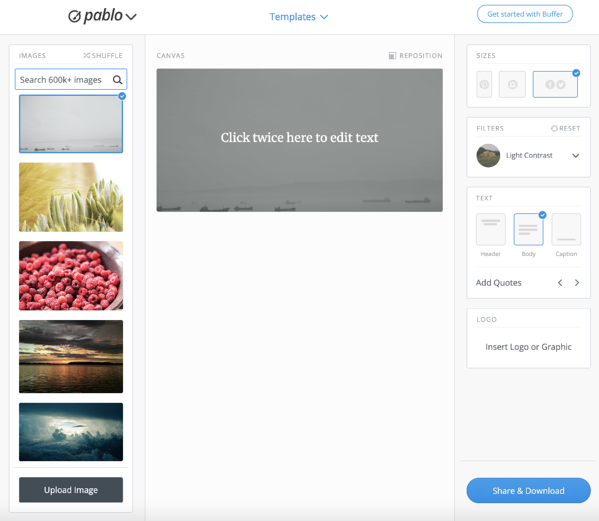 Last but not least, Pablo by Buffer will help you “create engaging social media images in under 30 seconds,” and has a database with hundreds of royalty free stock images for use as well as hundreds of quotes. Pablo is a reliable social media management platform. Users are able to create engaging content such as blog posts, quotes, Facebook images. Similar to other tools, Pablo offers 10 different font choices with bold, italic, different font sizes and ability to change the color of your font. The application allows marketers and other users to leverage the power of social media images. It eliminates the time consuming and tedious tasks of complicated software. Creating content with relevant visual gets more views than content without. It’s the evidence that visuals are vital to online success. One reason why social media is becoming more and more popular it’s because people have the chance to interact with brands and organizations. With appealing content and engagements, you are building a community. Showing your audience that you’re plugged into the world outside your organization gives you credibility and keeps you up to date on the competition. ← Think You Know How To Integrate Software Into Your Content?